One Eternal Day: "Red Rover, Red Rover. Let _____ come over"
.... We were a largely unsupervised horde that played rough games and lived most of our non-school hours out of doors, no matter the weather. We built snow forts in order to wage protracted snowball wars, splashed in puddles in the rain, and threw rocks or played sports until it got too dark to see the various balls. .... Nobody, and I mean nobody, was obese. The few who were slightly chubby would appear scrawny today. Of course there were no Gameboys or iPads yet. Many of us didn’t even have television. We got our first one when I was 12. 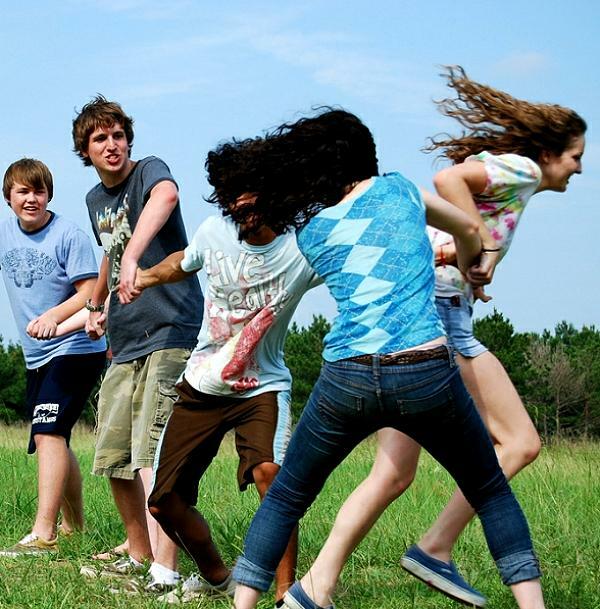 Most of our amusements then are now close to illegal: Tag, Dodgeball, Crack the Whip, Red Rover, Mumblety-Peg, and the aptly-named Kill the Man with the Ball. Others are just hated by the Left: Cowboys and Indians, Soldier, any game with a gun, real or plastic.